Freebie Finding Mom provides tips to lose weight fast and get healthy by using a weight loss chart to document progress and coconut oil recipes. Kelli Bhattacharjee, owner of FreebieFindingMom.com. Now that the holiday parties are over and the leftovers have been eaten, all that remains from those joyous and delicious celebrations are some unwanted pounds. Freebie Finding Mom shares her proven secrets to help get rid of that unwanted weight in the article, How to lose Weight Fast and Get Healthy in 3 Simple Steps. These invaluable tips will jumpstart any weight loss program. The tips are easy and best of all, free! Freebie Finding Mom offers another resource to help achieve personal fitness goals: A weight loss chart. This free weight loss chart tracks progress day over day and week over week. Being able to see each fitness milestone, no matter how small, is key to staying motivated. Working out and being active is only one part of a healthy routine. Another component to a well rounded routine is maintaining good eating habits. An individual can work out for two hours every day, but if his or her eating habits are poor, it will be a struggle to reach those fitness goals. A smart healthy eating plan should include coconut oil. Recently, attention has been drawn to the many health benefits of coconut oil. Experts, including Dr. Oz, are advocates for incorporating coconut oil into a heathy lifestyle. Just two tablespoons of coconut oil daily can increase the body’s resistance to viruses and bacteria, improve thyroid function, and help cholesterol levels. The benefits don’t end there! Read Freebie Finding Mom’s article for a complete list of the health benefits of coconut oil. If the thought of taking two tablespoons of coconut oil daily is not enticing, consider incorporating it into cooking. There are an abundance of coconut oil recipes available online including this recipe for coconut oil popcorn. Coconut oil popcorn is a healthy, low fat, low calorie, delicious snack. 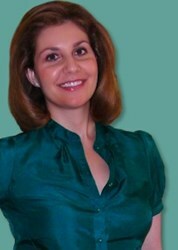 Kelli Bhattacharjee, the Freebie Finding Mom, is a former investment professional with nearly ten years of experience. After graduating the top of her class and obtaining an MBA, she discovered her true passion is empowering others to better manage their money. She accomplishes this by sharing a generous helping of money saving advice along with fun daily freebies, coupons, and deals. Follow her on Facebook, Twitter, Google Plus, and on her latest obsession Pinterest.